Toxoplasma gondii is an Apicomplexan parasite that chronically infects at least a quarter of the global human population, with potentially fatal consequences during pregnancies and among the immunocompromised. Characterized by an extraordinarily diverse host range and increasing incidences of drug resistance, the organism's metabolism and factors affecting its virulence have been studied by the Parkinson lab through the use of modeling and comparative genomics. The Plasmodium group of Apicomplexan parasites is responsible for the continued transmission of malaria, a disease that continues to impact millions of lives across the globe. The Parkinson lab has extensively studied the metabolic network of the most prominent and deadly member of the genus, Plasmodium falciparum. We have also sought to characterize the organism's inner membrane complex (IMC), an essential part of the parasite's infection machinery. The Apicomplexa branch of single-celled eukaryotic parasites represents a significant portion of known human pathogens, preying especially on the immunocompromised and inhabitants of the Third World. Many of these parasites are gaining new prominence in human healthcare with the emergence of infections resistant to traditional modes of treatment. 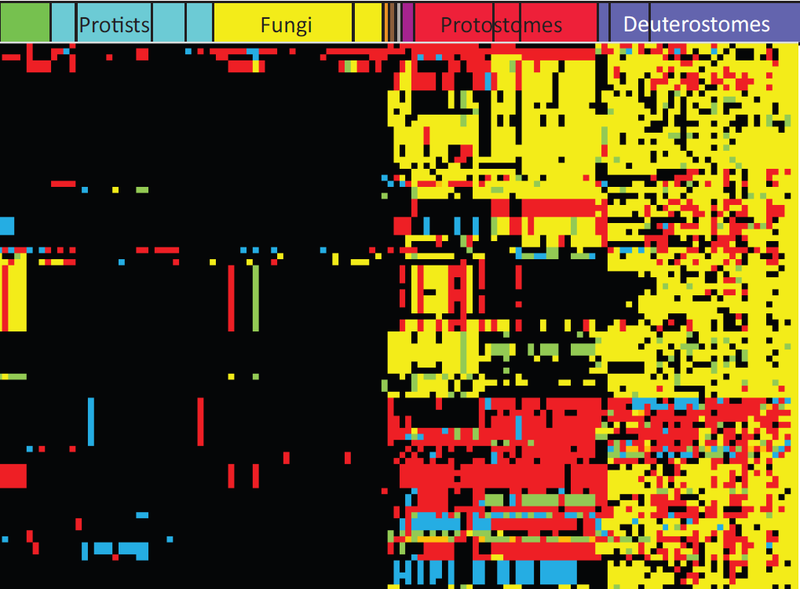 The Parkinson lab has made several comparative analyses of Apicomplexan genomes, and has also worked toward characterizing proteins responsible for virulence and protein palmitoylation in these organisms. Worms, particularly those belonging to the nematode and cestode division of the clade, represent an important branch of eukaryotes to study as vectors of human disease and as model organisms. The Parkinson lab has investigated patterns of evolution in tapeworms, and further investigated the development and regulatory pathways of worms at a genomic and transcriptomic level. It has also been active in the curation of sequencing information of nematode worms. Metagenomics seeks to understand entire systems of organisms, as found in samples of fresh earth, the bottom of the sea, or even within human bodies, at a genomic level. This novel approach to biology is expected to significantly improve understanding of ecosystems at a microscopic scale. The Parkinson lab has been active in the emerging field of metagenomics, with a particular interest in understanding the dynamics of microbiotic locales associated with human disease. Metatranscriptomic surveys seeks to push our understanding of biology from studies of individual genomes toward investigations of the patterns of genomic expression across entire communities of species existing at the microscopic scale. The Parkinson lab has already investigated the contents of a mammalian intestine at the metatranscriptomic level, and is working toward producing a fully functional pipeline to aid future investigations of this type of cellular data. The production of high-quality software tools meant for microbiome study has been an important priority for the Parkinson lab. Next generation sequencing (NGS)-based approaches to the study of microbial communities present a number of unique challenges in data analysis, necessitating the development of special tools and pipelines to effectively process the raw information. Understanding the components of an organism's metabolism allows for clear descriptions of the systems of regulation and utilization of the chemical components of a cell's environment as well as providing clues to its internal state. In the case of the Parkinson lab's analyses of Apicomplexan parasites, these investigations may play an essential role in the identification of drug targets and novel modes of treatment. The lab has also investigated the development of metabolism from an evolutionary perspective. Biological systems are composed of myriad constituent parts, interacting with proteins, nucleic acids, and metabolites to create order out of constantly changing environments. 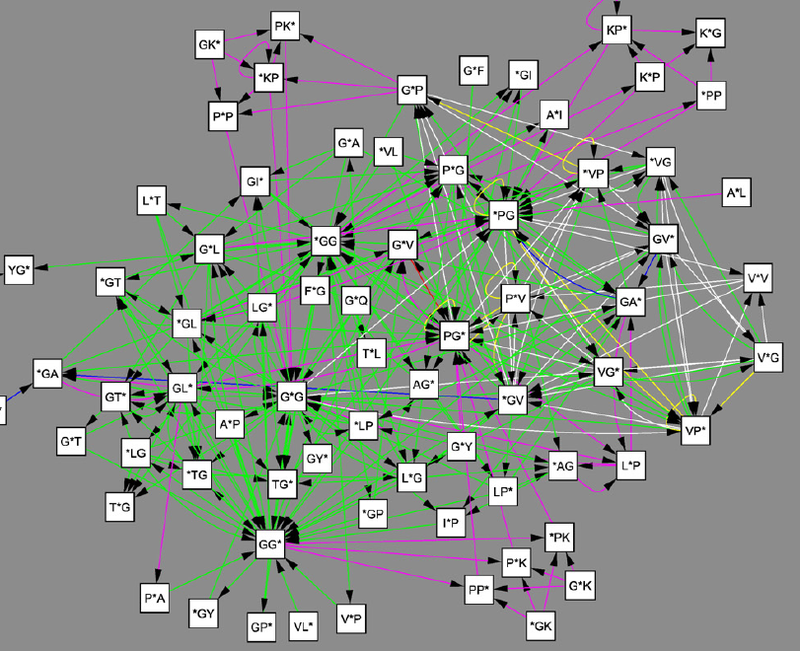 The mapping of the networks of interaction by which this fundamental biological process is done has been an important focus of biologists, particularly in the last decade, and is an important area of research for the Parkinson lab, particularly in the model organism, Escherichia coli. The advent of next-generation sequencing has resulted in an unprecedented quantity of biological data in the form of genomic information. The Parkinson lab is currently studying this information with the intent of providing important insights into the patterns of evolution across entire swathes of microbiotic life forms. These sorts of investigations promise to clarify the selective pressures and environmental cues that compel bacterial evolution. Bacterial life has undergone billions of years of evolution, resulting in some of the most diverse biological functions on the planet. The evolution of these life forms poses challenges to medicine in the form of emerging drug resistance. The Parkinson Lab's research in bacterial evolution seeks to use the hundreds of bacterial genomes currently available, as well as computational tools and gene orthology predictors, to determine patterns in evolution across the entire spectrum of bacterial life. Metabolomics seeks to analyse and identify those metabolic patterns that render a bacterium "unique". Extracellular matrix fibres, produced as monomers, self-assemble into polymeric structures that impart their unique properties. For example, changes in the number and arrangement of the elastomeric and cross-linking regions in elastic fibres have been shown to significantly impact their assembly and mechanical properties. The use of computer simulations allows us to explore the evolution of polymeric ECM proteins and may prove valuable for the tuneable design of new molecules that may be exploited as useful biomaterials. 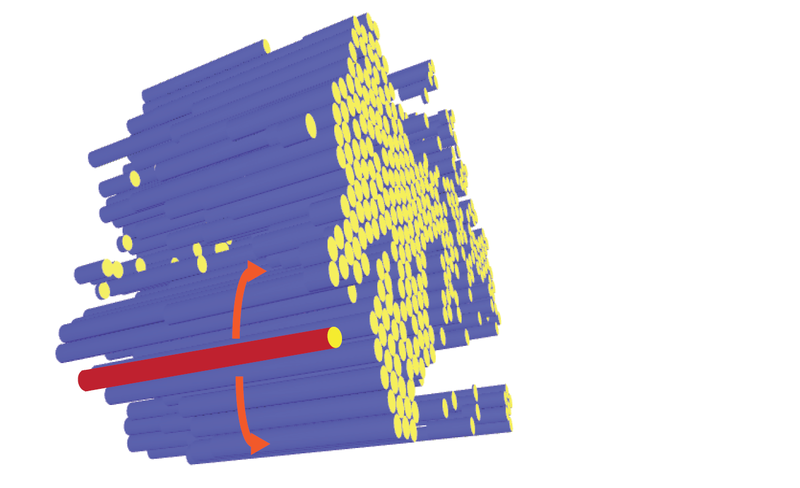 Elastic fibres provide flexibility to cardiac, dermal, and arterial tissues. Abnormalities can adversely affect the integrity of fibres leading to disease. We are studying genetic variations e.g. single nucleotide polymorphisms (SNPs) at sites within elastin and other elastic fibre genes using bioinformatic and wet lab approaches to discover variants leading to adverse changes in the physical and functional properties of the resulting proteins. The extracellular matrix (ECM) is a 3D meshwork of proteins imparting structure and mechanical stability to tissues. With major roles in cell adhesion, proliferation and morphogenesis, defects in the ECM are implicated in e.g. cancer, fibrosis and arthritis. 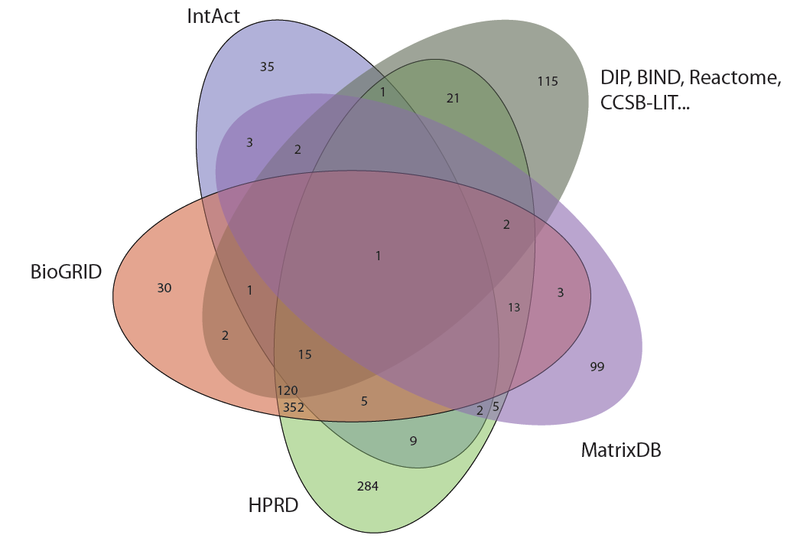 We defined an initial set of ECM components and constructed an ECM-interactome. This network is used to identify functional modules and as a framework to organize and interpret expression data, disease associations and more. Although it is well known that some ECM proteins are ancient, the relative contributions of ancient and novel domains to ECM evolution have not been previously quantified. Using a systems approach, we identify domains of eukaryotic and metazoan origin recruited into new roles in vertebrate-specific combinations coinciding with the acquisition of novel proteins accounting for approximately 2/3 of the ECM proteins in humans. The study of entire genomes has become an important component of biological inquiry. The Parkinson lab has been involved in the analysis of a wide variety of genomes, including those of bacteria, tapeworms, and Apicomplexan parasites. Our analyses of these data sources continue to move forward through the analysis of entire systems of genomes, through our work in metagenomics. Biological complexity arises from the many connections between parts of cells. Members of the Parkinson lab have been involved in determining the structural components that mediate these connections in complex, multi-segment protein complexes. Other members have sought to predict novel connections in emerging genomes. The Parkinson lab has developed several tools associated with the prediction and mapping of metabolic networks, especially in parasitic organisms. These metabolic networks may in the future present important targets for pharmaceutical intervention.